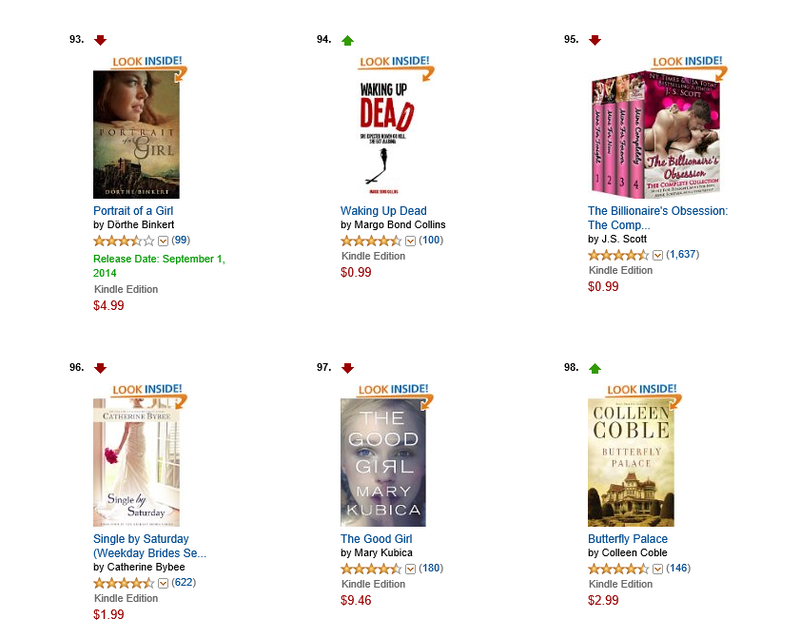 Waking Up Dead hits Amazon Kindle Top 100! Yesterday was one of the most exciting days of my writing career. I think the “firsts” are the best–first acceptance from a publisher, first book published, first book signing, and so on and so on. Yesterday was the first time one of my books hit a Top 100 list on Amazon. Waking Up Dead has been on sale for $.99 (and the equivalent) and I’ve been doing an advertising blitz. At some point late last night (I couldn’t sleep! ), Waking Up Dead moved into the 60s in overall Kindle ranking, but apparently I was too tired by then to remember to take a screen shot. As of this morning, it’s still in the Top 100 in the U.S., still holding #1 category spots in the US and UK, and still in the top 5 in some other countries, as well. So to everyone who shared the graphic, posted about the sale on Facebook and Twitter, helped me promote the sale and the book, read Waking Up Dead, wrote reviews, and/or supported me in all the millions of ways that family and friends and readers and bloggers and social-media contacts have helped, a huge THANK YOU for one of the very best days of my writing career. YOU ROCK! Margo Bond Collins lives in Texas with her husband, their daughter, several spoiled cats, and a ridiculous turtle. She teaches college-level English courses online, though writing fiction is her first love. She enjoys reading urban fantasy and paranormal fiction of any genre and spends most of her free time daydreaming about vampires, ghosts, zombies, werewolves, and other monsters. Waking Up Dead is her first published novel. Her second novel, Legally Undead, is an urban fantasy forthcoming in 2014 from World Weaver Press.